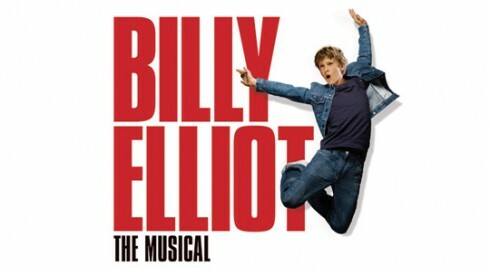 I have come late to Billy Elliot. In my usual quest to see all of the ‘little’ shows while their runs last or before they get shut down due to a lack of tourist appeal/ souvenirability, it’s quite easy to just skip the long runners altogether. After all, they’ll be there forever, come rain or come shine. It is clear that Billy has seen better days. However, what is also apparent is why it has been such a massive initial success, still oft quoted on posters as ‘the best musical in London’, and enjoying a hugely successful and long-lived transfer to Broadway. At its heart is the emotion of the much adored film, the touching exposure of the parent-child relationships and sheer joy of seeing kids expressing themselves in ways that are ‘uncool’ (it certainly wouldn’t pack such an emotional punch if Billy was into break-dancing). The flaws of the production are also glaringly obvious. The first half drags, many of the early jokes fall flat and it is difficult to see the point of many of the adult cast members’ songs. The costumes look great, but having not seen the film for five years, I still somehow know that many are direct replicas of on-screen ensembles. This simply reminds the audience how much has been lifted directly from the movie and negates this musical’s claim to stand as a production in its own right. If the producers want to see how a film can be translated to the stage, adding new dimensions but not losing its original character, they could do a lot worse than heading down the road to see Cameron Macintosh’s Betty Blue Eyes. The other problem of the inevitable comparison to Daldry’s film is the role of Mrs. Wilkinson. A part that can only be described as having been ‘nailed’ by Julie Walters gives actresses very little room for manoeuvre (it reminds me of anyone trying to play Sally Bowles – you’ll never beat Liza). The result is an imitation that can do nothing but fall short of expectations. The children, however, were irrepressible and irresistible. This week’s Thursday matinee was the first outing for Josh Baker as Billy. The delight on the young lad’s face as he bowed to a very appreciative audience was a joy to encounter. Seeing a man that must have been his father be the first to stand in the middle of rapturous applause brought a tear to my eye (sickening I know, I would like to place some blame on hormones for that…) He stole the show along with his fellow child actors: Reece Barrett as Michael, Emily Williams as Debbie and a fantastic ‘Small Boy’ who is unidentified by picture in the programme, but demanded constant attention due to his amazing stage presence and an uncanny resemblance to Jonathan Lipnicki (the adorable Ray in Jerry Maguire). In fact, probably the best thing that could happen to this show would be for the adults to stop singing altogether. Their songs were unnatural and often appeared pointless. This was brought into sharp relief when the miner brother that thought Billy shouldn’t be ballet dancing because ‘men don’t do those sort of things’ decided to commit the ultimate hypocrisy and sing about life on the picket line – bizarre. The highlights were without doubt the scenes of and between the children on their own. The relationship between Billy and Michael captured the honesty of young friendship and the small part of Debbie was fulfilled with comic aplomb. Until the end of the first half there were no really memorable songs – one could be forgiven for thinking that Elton John hadn’t put his best effort into the composition. Yet the finale of act one saw Billy dancing his way through his frustrations at being denied the chance to audition for ballet school. This number jolted the play into the 21st century from the dangerous, 70s-brown territory that was starting to resemble my worst theatrical fear – Blood Brothers 2. Starkly lit, the dancing was outstanding and the image of Billy crashing against the line of riot police shields visually stunning. Similarly, ‘Electricity‘, performed during Billy’s eventual audition, focussed solely on Billy. Accordingly, it brought the house down. Don’t believe the claims that this is ‘still the best musical in London’. It’s not. It is, however, a great chance to see a huge pool of young talent and accessible ballet. Don’t go if you want to be roused by musical genius and don’t bother to buy the soundtrack, but Billy Elliot still has a lot going for it. It is easy to see why this has become another long running show that is mainly seen by kids, tourists and OAPs these days, yet, as an example of the talent of British preteens, you couldn’t find better.